A Big Thank You to Our Summer Interns! This summer Akrete fully implemented an intern program. Our 7 college students (Kelsey Goggin, Justin Pituch, Koren Fowler, Griffin Teller, Ruby Mascai-Goron, Haley Mcdill, and Noel Kirsch) have helped a tremendous amount this summer. Some of the projects this group has worked on were from social media branding, mastering media list creation, reaching out to reporters, website designing, tons of content creation, leading an instagram campaign, and making daily Starbucks runs for the team. This summer our internship program has given us the foundation needed to implement our full-time internship program. We are happy to have one summer intern ( Justin) stay on board throughout the year as he attends Northwestern. Joining Justin will be several other interns working year-round. CoreNet Global members are seriously “going social” and it’s great to see! Yesterday at the Global Great Lakes Regional Symposium, we had a really substantive discussion between our panelists and audience members on #CRE social media. Thanks to my co-presenters Dusty Duistermars of Qube Global Software, Andy Swindler of Astek Consulting and Chris Pesek of Jones Lang LaSalle. Thanks go to the organizing committee and all involved for a successful first-time regional Summit event…and for the cool coasters (thank you gift to speakers, pictured). Andy and I were able to take a walk down memory lane with a few of our participants, attendees of our inaugural CoreNet Global Chicago Chapter social media event held in 2009. We’ve come a long way, baby! – Coporate real estate folks are almost universally on LinkedIn, and have become fairly sophisticated users. However, most are not LinkedIn paid-subscribers, not seeing value in the additional features. – Twitter is more of a listening forum for most. So don’t be surprised if your corporate real estate posts are not getting a lot of RTs…it doesn’t mean they’re not being seen. – Understanding how corporate users of space – internal clients to CREs – use social media is critical to developing sound workplace and real estate portfolio strategy. CREs should understand social media as a function of corporate culture. – There is a whole new world of killer apps for CRE that are serious time-savers and true work enablers. Check out Dusty’s presentation for links. Links to our presentations are included below. I’m looking forward to presenting with this group again sometime soon, and to the fun, strategy-shaping conversations that these forums create. 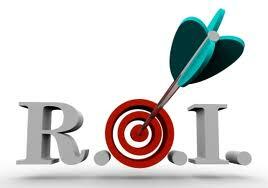 Defining specific forms of return on investment (ROI) from social media programs is a common challenge, particularly in a transaction-driven industry like commercial real estate. Ten forms of Return on Investment (ROI) from commercial real estate social media in ten minutes: that’s the promise I made at the beginning of my talk at The Goldie B. Wolfe Miller Women Leaders in Real Estate Initiative 2013 Speed Networking Event. Here’s the 10-minute video, worth the time if you need to make a business case for social media investment to senior management. The anecdotes are commercial real estate, but most of the ROIs apply to many types of B2B businesses. And a big thank you to Jones Lang LaSalle (#client) for sponsoring the event, and to their fabulous corporate PR team for producing the video. Happy New Year from Team Akrete! Our team has grown to ten professionals working in locations from Northern California to Chicago to Florida. Our clients include a major financial institution, a Canadian province’s economic development ministry, and some of the top companies in the commercial real estate industry. As the new year begins, I am incredibly thankful for the opportunity to work with such great collaborators, clients and friends. 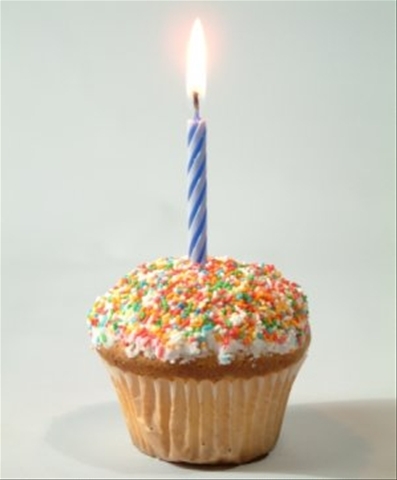 Here’s to more of the same in 2014! Do you have both the media pitching and account management “genes”? If you also have earned 3-10 years’ agency or corporate PR experience, and are seeking a flexible professional situation as part of a high performance B2B PR and content creation team – we’d love to talk to you. Akrete Comms is a non-traditional boutique PR and content creation team that operates from Evanston, Illinois. Akrete was founded two years ago and is growing rapidly, with clients including Jones Lang LaSalle, KeyBank and others. On Team Akrete, high quality content and stunning media relations results matter more than where the work gets done, or what time of day it happens. We may work at 2:00 a.m. or in airports sometimes, but generally it’s because we made time for after school sports, artistic events or time with friends and family earlier in the day. Our team of contractors, employees and interns puts clients and results first, and we share a commitment to excellence in the context of work/life balance. 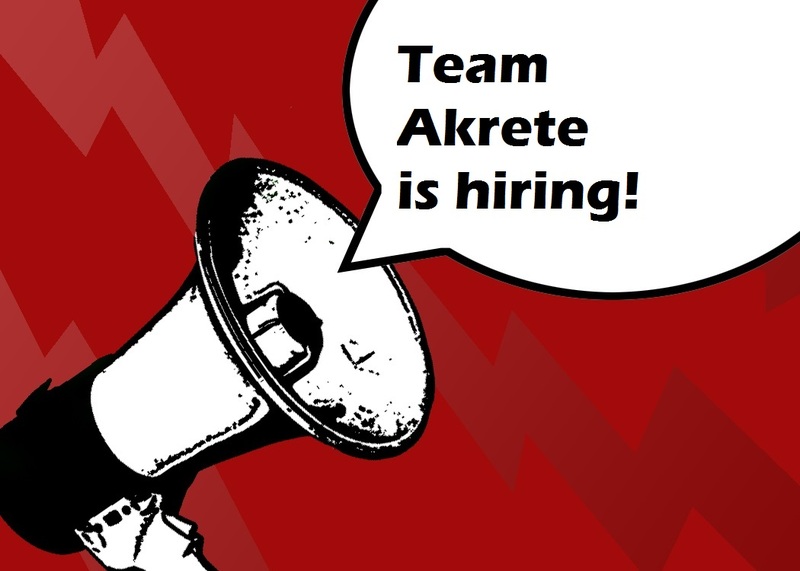 We are seeking an account manager to become a core member of Team Akrete, a player/coach media strategist, media outreach leader and hands-on content creator. What’s the compensation and schedule? Compensation and schedule can be tailored for the right person who is a good fit for our clients and business model, with at least 25 hours per week and 2-3 days with some hours in the office a minimum requirement, and a full-time team member welcome. Members of Team Akrete share a passion for achieving major media and trade journal media placement results and the proven ability to do so, strong writing skills, superior organization, and an unwavering dedication to client service. Candidates should offer some combination of social media, commercial real estate, technology and banking experience and expertise as well. For more information including a more detailed job description, contact principal and founder Margy Sweeney directly at margy@akretecommunications.com or 312-612-0343. Our office is located in the CoLab Evanston business incubator adjacent to the Evanston Main Street CTA and Metra train lines. We’re already off to a whirlwind start in Year Two. To all our stakeholders near and far: keep in touch, and we’ll see you in social media and beyond. Turnabout was fair play when Team Akrete was featured on PBS’ Nightly Business Report on Friday, March 9th, in the You’re Hired segment. Thanks to some great PR work from Amy Christenson at Jasculca Terman and Associates on behalf of Chicago Career Tech (@chicagocareer), Team Akrete’s Communications Associate Heather Carper (@Heather_Akrete) became the featured recent-hire on the segment. You can watch Heather on Nightly Business Report’s website, at the 20-minute mark in the video podcast for Friday, March 9th. You’ll also see Maureen Wilkey (@maureeen) and Margy Sweeney (@margysweeney) in the background, as well as on-screen tips o’ the hat to our clients and friends-of-the-firm at EcoMyths Alliance (@EcoMyths). On a personal note, like Heather I also started my career as an administrative assistant. I was able to move beyond that role because there were people who believed in my abilities and helped me bridge into more creative and professionally rewarding positions. I guess given my history, it’s not surprising that I’ve always believed that non-traditional hires bring unique and valuable perspective to the table. For that reason, I am incredibly grateful to Chicago Career Tech for giving Heather the social media training and internship opportunities she needed in order to become a strategic hire for Akrete Communications, and for my friends Renata Pasmanik and Tom Silva at The Alter Group for introducing us. Congratulations, Heather – I’m so happy that your story has brought you to Team Akrete! As 2012 begins, I am incredibly pleased to welcome Heather Carper and Maureen Wilkey to Akrete Communications, and to celebrate the other close professional collaborations I’m enjoying as Akrete grows. Heather Carper has joined Akrete as a Communications Associate following an internship at Alter Group and earning her stripes in an intensive social media professional program. Her social media acumen and passion for research are a most welcome addition to my growing firm, as is her experience in both the not-for-profit and corporate worlds. Maureen Wilkey has joined Akrete as an Account Executive. Many people in Chicago commercial real estate circles know Maureen through her two most recent positions, first as an editor of the Illinois Real Estate Journal, and most recently as the Chicago reporter for Real Estate Bisnow. I am pleased to welcome her witty writing style, knowledge of commercial real estate and journalist’s perspective into our work. When I founded Akrete last April, I wasn’t sure exactly what direction the business would take, but I knew that I would seek out ways to collaborate with professionals I respect and enjoy. As Akrete enters its second calendar year, I’m also incredibly pleased that I’ve been able to work in close collaboration with talented freelance B2B public relations professional Jennifer Harris and technology strategist Brian Greenberg (www.gsysd.com). On certain assignments, I even have had the pleasure of continuing to work with my former team at BlissPR-Chicago. I’m honored to be surrounded by people with such overflowing creative and intellectual energies and talents. Cheers to the year ahead, and wishing a happy, healthy and prosperous 2012 to all! 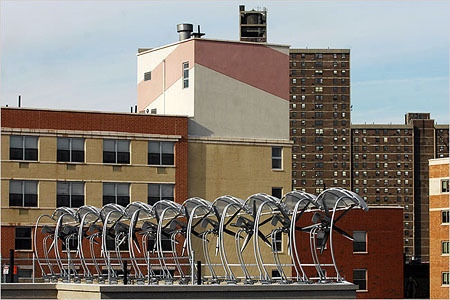 Taking brownfields and creating sustainable reuse solutions is good work if you can get it. We welcome you to follow our thinking and activities for now via principal Margy Sweeney’s social media channels. We expect to add more resources, blog links and commentary from both Akrete and from Akrete friends & family over the course of the next few months. Accretion = Growth. As such, Akrete Communications is living up to its name already: Growing, with Style. … and talking to some other smart folks about much, much more. More information on what Akrete Communications is all about can be found on the “About” section of this site, or on the first post. Let’s create something together soon! It’s official – I am an entrepreneur, and my new company is named Akrete Communications. As the name suggests, Akrete is all about growth — your business, your network, your impact. I welcome you to become a part of this new adventure. Until I launch a more formal blog, website and other channels, here is some basic information about what this new business is all about, and how you can become a client, a partner or a member of the Akrete Communications professional circle. What is Akrete all about? Communicating complex or highly technical material? Strong writing is no longer a luxury. In today’s information-saturated world, content needs to jump off the page, light up an iPad and provoke in-box action. And that requires clarity of ideas, a distinct verbal style, and overall creativity in presentation. Akrete Communications can help you plan, create and repurpose content that delights your audience and wins mindshare. We help strong ideas come alive through strategic thinking and strong writing – in-print, on-line and on-screen. – Repurpose content to maximize its impact for multiple unique traditional and online channels. – Social media content development and repurposing for blogs, Twitter, Facebook, etc. A veteran of public relations, marketing and journalism, Margy brings a strategic perspective to every business writing challenge. Her experience includes founding the Chicago office of BlissPR and 17 years working with prominent financial services institutions, economic development organizations, not-for-profits, commercial real estate firms and consultants. Her writing has appeared in national media such as the Wall Street Journal, Forbes and The Travel Channel, as well as in many economic development and commercial real estate trade magazines. Margy Sweeney is the firm’s primary writer and content strategist. She works directly with every client to ensure that the content we create is strategic and in line with the organization’s mission and goals. As appropriate, Margy partners with other experienced professionals to fulfill the goals of any particular assignment.